This chapter explores the impact of U.S.-led kill-or-capture missions, or night raids, on the civilian population in Afghanistan. The first section examines how the criteria used by the U.S. military for determining targets of raids led to attacks against civilians (e.g., individuals who frequently communicated with insurgents; civilians providing food and shelter to insurgents; civilians suspected of possessing information on insurgents). The second and third section examine other factors that led to raids targeting civilian homes, for example, reliance on faulty intelligence, mistakes in locating the targeted houses, and excessively subjective interpretations of “hostile acts” and “hostile intent.” The fourth section shows how the too-broad target selection criteria and the vague definition of “hostile intent” led to indiscriminate attacks against civilians. AI (Amnesty International). 2014. Left in the Dark: Failures of Accountability for Civilian Casualties Caused by International Military Operations in Afghanistan. https://www.amnesty.org/en/documents/ASA11/006/2014/en/. Accessed on 21 August 2017. AIHRC (Afghanistan Independent Human Rights Commission). 2008. From Hope to Fear: An Afghan Perspective on Operations of Pro-government Forces in Afghanistan. Kabul: AIHRC. http://www.aihrc.org.af/media/files/Research%20Reports/english/Eng_Pro_G_2.pdf. Accessed on 21 August 2017. Alston, Philip. 2009. Report of the Special Rapporteur on Extrajudicial, Summary or Arbitrary Executions: Mission to Afghanistan. Geneva: UN Human Rights Council. https://documents-dds-ny.un.org/doc/UNDOC/GEN/G09/131/17/PDF/G0913117.pdf?OpenElement. Accessed on 20 September 2017. ———. 2010. Report of the Special Rapporteur on Extrajudicial, Summary, or Arbitrary Executions: Study on Targeted Killings. Geneva: UN Human Rights Council. http://www2.ohchr.org/english/bodies/hrcouncil/docs/14session/A.HRC.14.24.Add6.pdf. Accessed on 12 September 2017. Cavendish, Julius. 2010. “US Special Forces Apologise for Botched Night Raid.” The Independent, April 8. http://www.independent.co.uk/news/world/asia/us-special-forces-apologise-for-botched-night-raid-1939880.html. Accessed on 22 September 2017. Chairman of the Joint Chiefs of Staff. 2005. Standing Rules of Engagement/Standing Rules for the Use of Force for US Forces. http://www.jag.navy.mil/distrib/instructions/CJCSI%203121.01B13Jun05.pdf. Accessed on 28 August 2017. Dryer, Alexandre. 2006. “How the NSA Does ‘Social Network Analysis.’” Slate, May 15. http://www.slate.com/articles/news_and_politics/explainer/2006/05/how_the_nsa_does_social_network_analysis.html. Accessed on 12 February 2017. Foschini, Fabrizio. 2011. “Because the Night Belongs to Raiders: Special Ops in Nangarhar.” Afghanistan Analyst Network, January 10. https://www.afghanistan-analysts.org/because-the-night-belongs-to-raiders-special-ops-in-nangrahar/. Accessed on 28 August 2017. Gall, Carlotta. 2011. “Night Raids Curbing Taliban, but Afghans Cite Civilian Toll.” The New York Times, July 8. http://www.nytimes.com/2011/07/09/world/asia/09nightraids.html?mcubz=3. Accessed on 28 August 2017. Graff, Peter. 2010. “McChrystal Bans Night Raids Without Afghan Troops.” Reuters, March 5. http://www.reuters.com/article/us-afghanistan-raids/mcchrystal-bans-night-raids-without-afghan-troops-idUSTRE6241Y420100305. Accessed on 28 August 2017. Graham-Harrison, Emma. 2011a. “NATO’s Afghan Night Raids Come with High Civilian Cost.” Reuters, February 24. http://www.reuters.com/article/us-afghanistan-raids-idUSTRE71N15U20110224. Accessed on 28 August 2017. ———. 2011b. “Fact Box: Night-Time Raids in Afghanistan.” Reuters. February 24. http://www.reuters.com/article/us-afghanistan-raids-factbox-idUSTRE71N17320110224. Accessed on 29 August 2017. IHRC (International Human Rights Clinic Harvard Law School). 2016. Tackling Tough Calls: Lessons from Recent Conflicts on Hostile Intent and Civilian Protection. Boston: Harvard Law School. https://www.justsecurity.org/wp-content/uploads/2016/03/Tackling-Tough-Choices-Hostile-Intent-HLSIHRC-2016.pdf. Accessed on 21 September 2017. Kelly, Kathy, and Dan Pearson. 2010. “Atrocities Against Civilians in Afghanistan: A Troubling Timetable.” The Huffington Post, April 29. http://www.huffingtonpost.com/kathy-kelly/atrocities-against-civili_b_562363.html. Accessed on 21 September 2017. Mazzetti, Mark, Nicholas Kulish, Christopher Drew, Serge F. Kovaleski, Sean D. Naylor, John Ismay. 2015. “SEAL Team 6: A Secret History of Quiet Killings and Blurred Lines.” The New York Times, June 6. https://www.nytimes.com/2015/06/07/world/asia/the-secret-history-of-seal-team-6.html?mcubz=3. Accessed on 29 September 2017. Nordland, Rod, and Taimoor Shah. 2014. “Afghanistan Quietly Lifts Ban on Nighttime Raids.” The New York Times, November 23. https://www.nytimes.com/2014/11/24/world/asia/afghanistan-quietly-lifts-ban-on-night-raids.html?mcubz=3. Accessed on 28 September 2017. OSF (Open Society Foundations), and TLO (The Liaison Office). 2011. The Cost of Kill/Capture: Impact of the Night Raid Surge on Afghan Civilians. Kabul: OSF & TLO. https://www.opensocietyfoundations.org/sites/default/files/Night-Raids-Report-FINAL-092011.pdf. Accessed on 21 August 2017. OSI (Open Society Institute), and TLO (The Liaison Office). 2010. Strangers at the Door: Night Raids by International Forces Lose Hearts and Minds of Afghans. Kabul: OSI & TLO. https://www.opensocietyfoundations.org/sites/default/files/a-afghan-night-raids-20100222_0.pdf. Accessed on 21 August 2017. Porter, Gareth. 2011a. “How McChrystal and Petraeus Built an Indiscriminate ‘Killing Machine.’” Truthout, September 11. http://www.truth-out.org/news/item/3588:how-mcchrystal-and-petraeus-built-an-indiscriminate-killing-machine. Accessed on 4 April 2017. ———. 2011b. “ISAF Data Show Night Raids Killed Over 1,500 Afghan Civilians.” Inter Press Service, November 2. http://www.ipsnews.net/2011/11/isaf-data-show-night-raids-killed-over-1500-afghan-civilians/. Accessed on 4 April 2017. Porter, Gareth, and Shah Noori. 2011a. “U.N. Reported Only a Fraction of Civilian Deaths from U.S. Raids.” IPS, March 17. http://www.ipsnews.net/2011/03/un-reported-only-a-fraction-of-civilian-deaths-from-us-raids/. Accessed on 4 April 2017. ———. 2011b. “U.N. 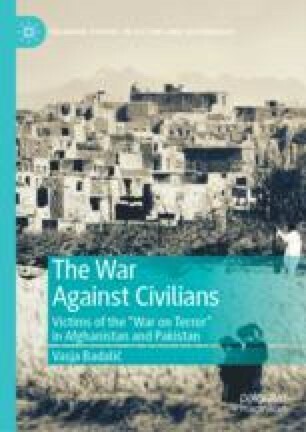 Tally Excluded Most Afghan Civilian Deaths in Night Raids.” IPS, October 25. http://www.ipsnews.net/2011/10/un-tally-excluded-most-afghan-civilian-deaths-in-night-raids/. Accessed on 1 September 2017. Safi, Bakhtar. 2011. “Rebel Commander Killed Along with His Daughter.” Pajhwok, 6 October 2011. https://www.pajhwok.com/en/2011/10/06/rebel-commander-killed-along-daughter. Accessed on 4 April 2017. Sahak, Sharifullah, and Alissa J. Rubin. 2011. “For Second Time in 3 Days, NATO Raid Kills Afghan Child.” The New York Times, May 14. http://www.nytimes.com/2011/05/15/world/asia/15afghan.html?mcubz=3. Accessed on 30 September 2017. Shanker, Thom, Elizabeth Bumiller, and Rod Nordland. 2010. “Despite Gains, Night Raids Split U.S. and Karzai.” The New York Times, November 15. http://www.nytimes.com/2010/11/16/world/asia/16night.html. Accessed on 28 August 2017. Starkey, Jerome. 2010a. “Nato Admits That Deaths of 8 Boys Were a Mistake.” The Times, February 25. https://www.thetimes.co.uk/article/nato-admits-that-deaths-of-8-boys-were-a-mistake-6hbmv3ljmj6. ———. 2010b. “Nato ‘Covered Up’ Botched Night Raid in Afghanistan That Killed Five.” The Times, March 13. http://www.thetimes.co.uk/tto/news/world/asia/afghanistan/article2464783.ece. Accessed on 31 August 2017. UNAMA (United Nations Assistance Mission in Afghanistan). 2010. Afghanistan Mid-Year Report 2010: Protection of Civilians in Armed Conflict. Kabul: UNAMA. https://unama.unmissions.org/sites/default/files/august102010_mid-year_report_2010_protectionofciviliansinarmed_conflict.pdf. Accessed on 31 August 2017. ———. 2012. Afghanistan Annual Report 2011: Protection of Civilians in Armed Conflict. Kabul: UNAMA. https://unama.unmissions.org/sites/default/files/unama_poc_report_final_feb_2012.pdf. Accessed on 6 September 2017. ———. 2014. Afghanistan Annual Report 2013: Protection of Civilians in Armed Conflict. Kabul: UNAMA. https://unama.unmissions.org/sites/default/files/feb_8_2014_poc-report_2013-full-report-eng.pdf. Accessed on 28 September 2017. UNAMA (United Nations Assistance Mission in Afghanistan), and (AIHRC) Afghanistan Independent Human Rights Commission. 2011. Afghanistan Annual Report 2010: Protection of Civilians in Armed Conflict. Kabul: UNAMA. https://unama.unmissions.org/sites/default/files/engi_version_of_poc_annual_report_2011.pdf. Accessed on 6 September 2017. Van Linschoten, Alex Strick, and Felix Kuehn. 2011. A Knock at the Door: 22 Months of ISAF Press Releases. Kabul: Afghanistan Analyst Network. http://www.afghanistan-analysts.org/wp-content/uploads/downloads/2012/10/AAN_2011_ISAFPressReleases.pdf. Accessed on 28 August 2017.